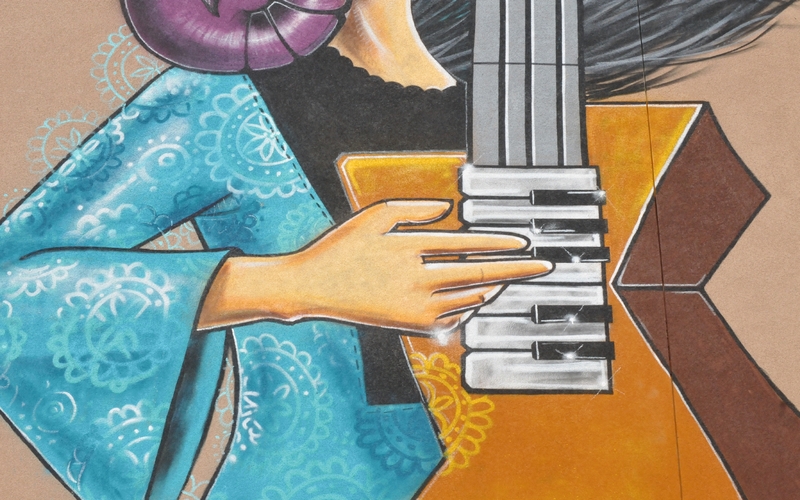 The centerpiece of the mural featured a woman without a mouth who played a large keytar. The idea is that women's voices are more effectively heard when spoken through art. 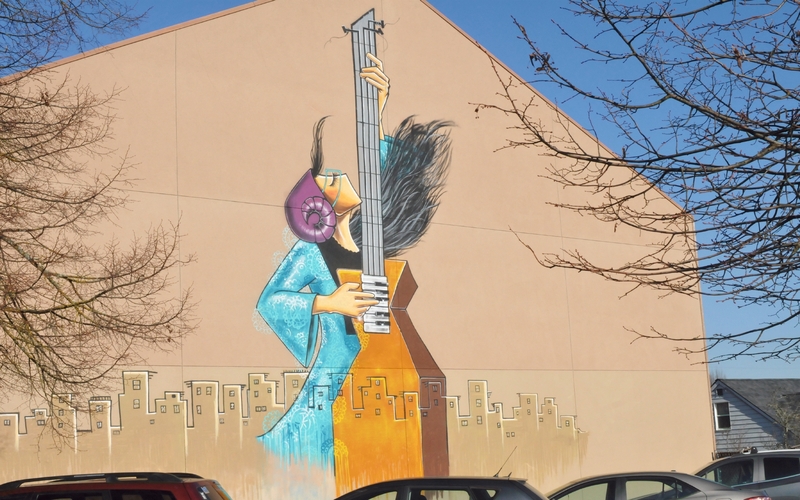 The Play Her Voice Mural was painted on the side of a commercial building that faced a customer parking lot. 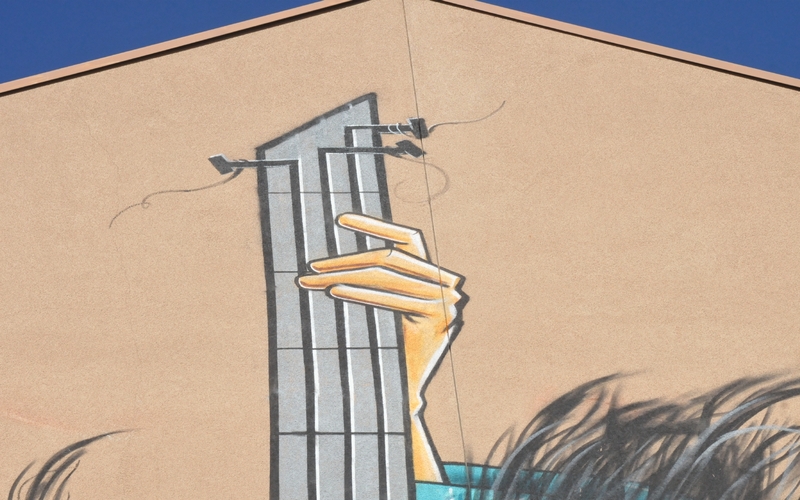 Although a fairly simple mural compared to others, it packs a dramatic visual wallop. 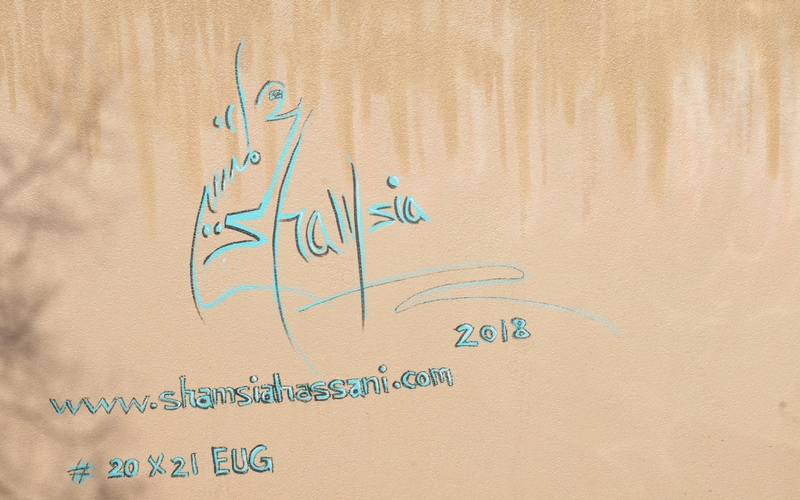 The artist's signature on the lower left featured her name in a stylized manner, the date 2018, and listed her website as www.shamsiahassani.com . 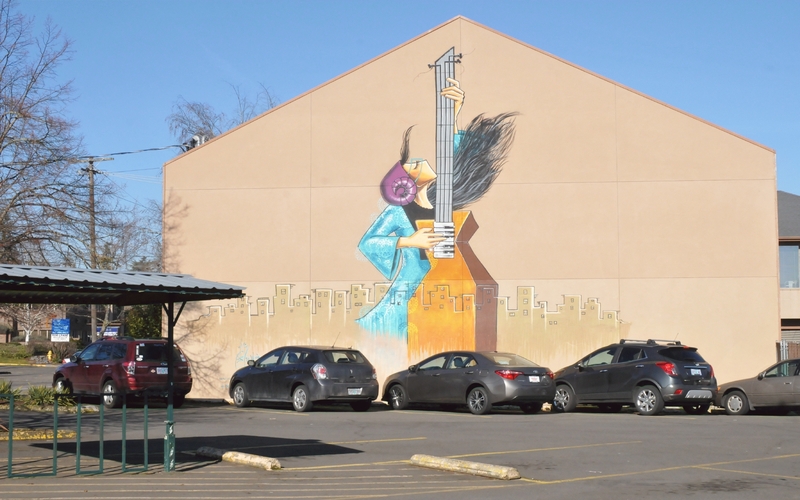 The signature also listed the 20x21 Mural Project as #20x21EUG. 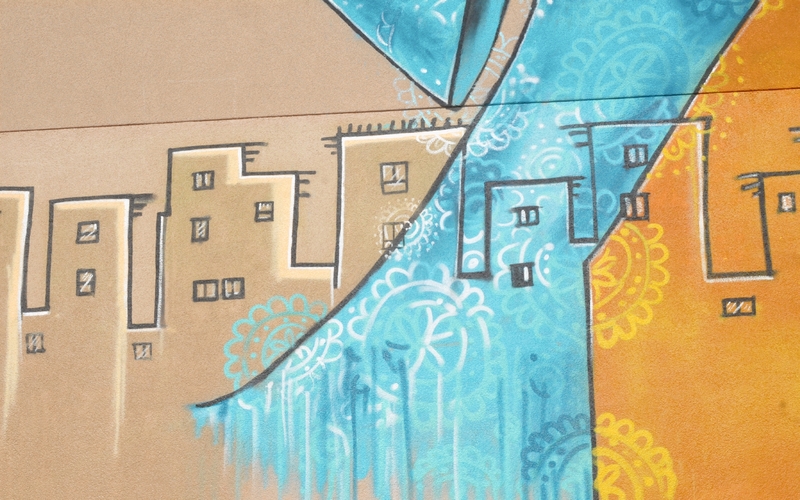 The buildings of an Afghan city were rendered in sand colored monotone. 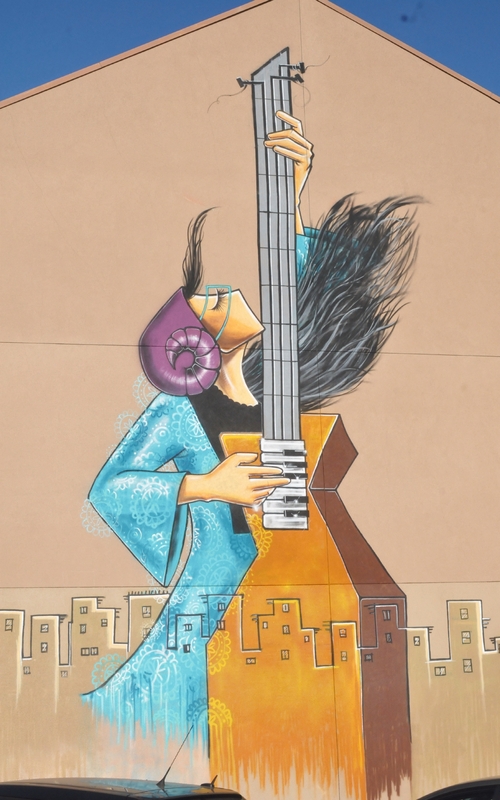 The woman's gown and the body of the keytar stained the city in bright vibrant tones. 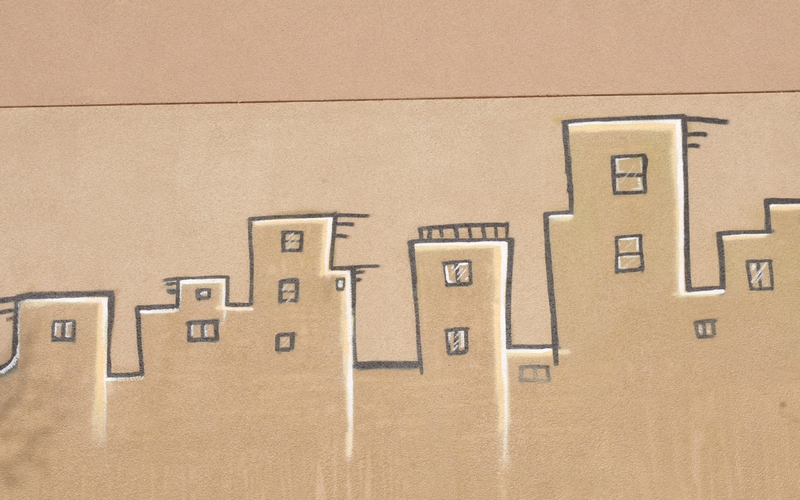 The drawn buildings were stained gold and brown by the keytar, then returned to their regular sand colored monotone. The keys of the keytar sparkled in daylight as the music played. 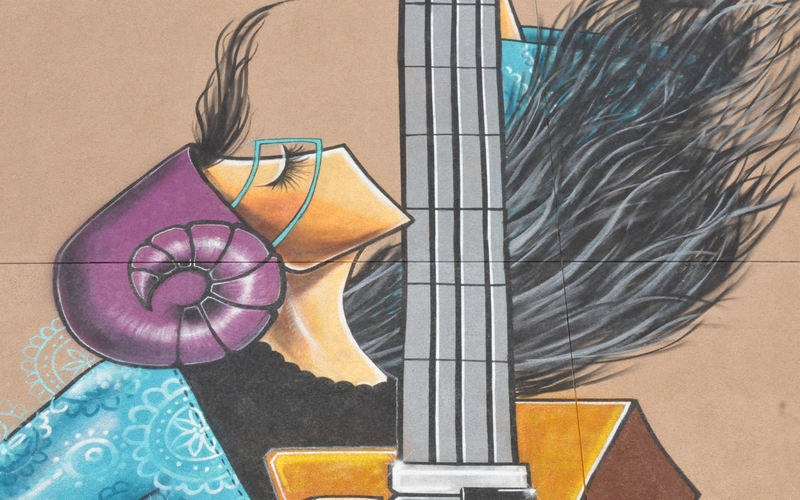 The musician's face featured the absence of a mouth. She wore a ram-style hat and high fashion glasses. The frets on the neck of the keytar and strings hanging wildly off the tuning pegs. 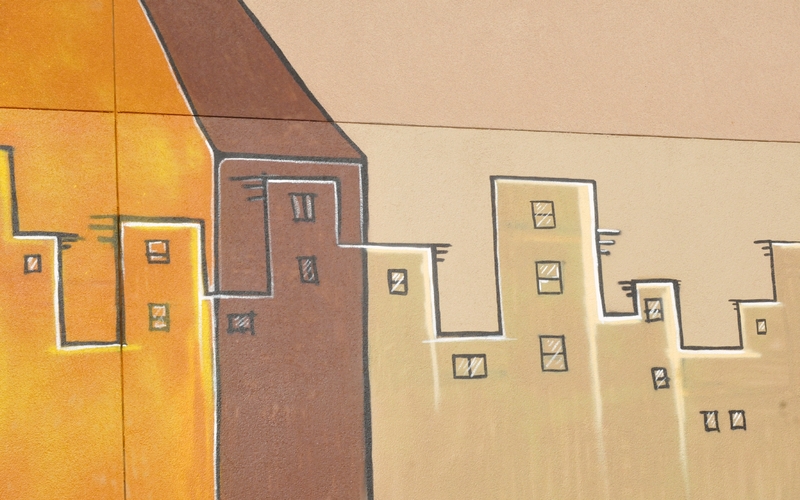 A parting shot of the mural shown in context with the foreground parking lot. Willamette Street ran past off to the left.